It is summer time and that means I was out and about for the last few weeks. Hence the lack of any new posts on the blog. Anyway this post takes a break from all the flying and I will continue my other travel journal later. Instead this post concentrates on a review of some hand crafted ice cream around Greater Vancouver. 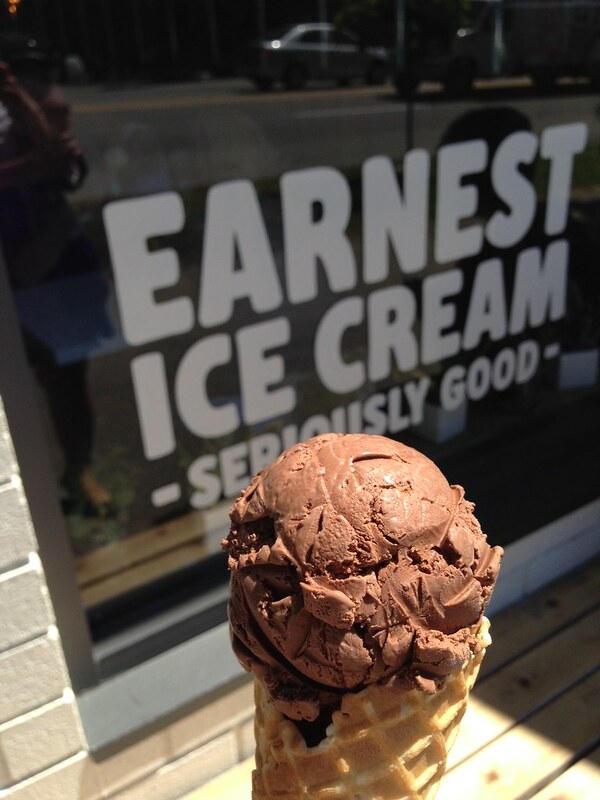 Late spring time, I got to know of this new ice cream joint in town called Earnest Ice Cream, and what followed then was to try and compare some other ice cream shops in town, so I will naturally start off with a review of Earnest. This new ice cream store opened not too long ago and can be found near the Esso petrol station by King Edward and Fraser. 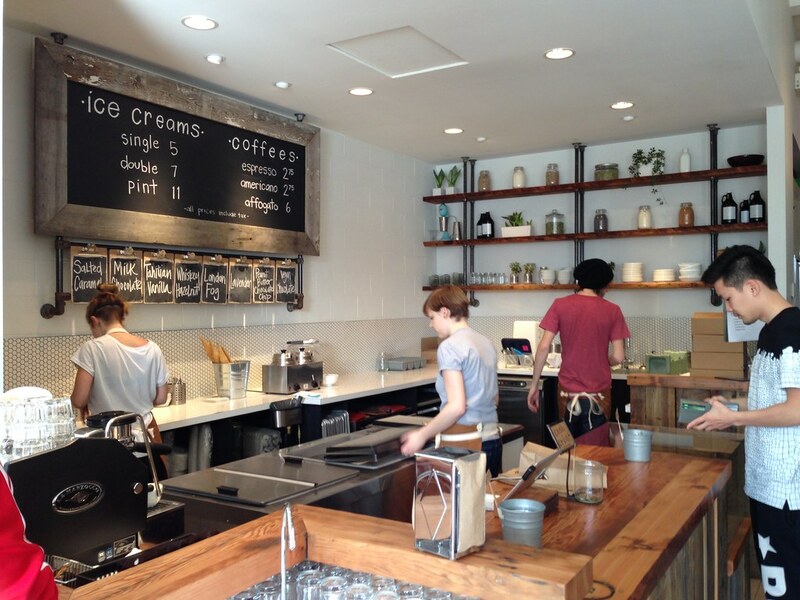 Located in a mostly residential area, the creamery has few other competing shops around though it is quite easy to access by car since there are ample free street-side parking. However the store opens only over the weekend (ie. Thursday to Sunday), but they do open till quite late. For those seeking their ice cream on other days, they sell their pints on selected grocery stores, and I believe the Edible Canada store in Granville Island and some others found on their website. Inside the store, there are a few seating spaces and there is also a bench outside for patrons to enjoy the summer sun. Prices are not exactly the cheapest with single cones starting at $5, and doubles at $7, while pints retail for $11 with a $1 jar deposit that is refundable when customers return them. 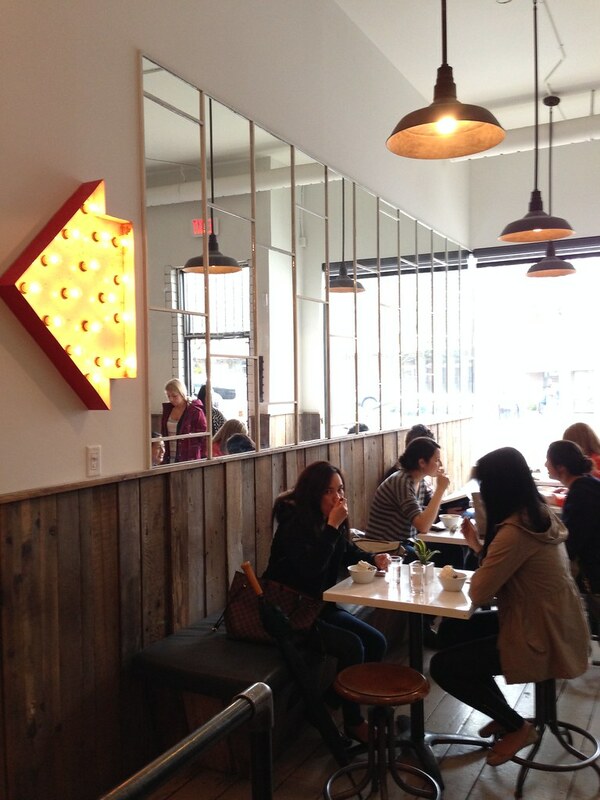 Besides ice cream, the store sells coffee from Matchstick Coffee Roasters and that means customers can also order affogato. To coincide with their seasonal flavours they sometimes have pastries and brownies to go along with their ice cream, but as far as things go, this is a pure ice cream store since I do not think they have any toppings on sale either. The store has 6 fixed flavours including the plain Vanilla and Chocolate flavour with the London Fog (Earl Grey), Salted Caramel, Mint Chip and Whiskey Hazelnut rounding it up. For flavours, I think the must-try has got to be the Whiskey Hazelnut, a creamy and nutty ice cream flavour with a hint of whiskey. There are plenty of hazelnuts in the ice cream and this is what got me to return to the store time and again. On top of that they usually have a couple of Vegan ice cream flavours and other seasonal choices. Flavours on the pints tend to be more limited compared to those on the scoop and it varies. Another flavour I enjoy was the Seriously Chocolate which is a dark chocolate version while my sister enjoys their Rocky Road which is a mix of chocolate, marshmallow and peanuts. Like their tagline says, their ice cream is seriously good, but the limited choice of flavours and opening hours makes it really inconvenient and I just see myself returning mainly for their Whiskey Hazelnut ice cream. However while the summer still lasts, I say find a time to try a scoop for yourself as I try to keep a pint of Whiskey Hazelnut at home to last me for the week. Finally, a tip would be to add some real single malt whiskey to a scoop of Whiskey Hazelnut for that added kick!